Thanks for remembering my birthday and being so kind as to send me a present. I'm going to be taking my road test in late July and soon as I can get enough money together, I'll be up to see you with my new car. We bought a house and by the Fourth of July we hope to be moved into it. It's hard moving away from all your friends that you've known for 14 years, but at the same time it's fun to start all over again in a new neighborhood. Take car of your selves and be sure to let everyone know I miss them. Found in "Many Are The Hearts: The Agony and Triumph of Ulysses S. Grant" by Richard Goldhurst. Published by Reader's Digest Press, 1975. Oh, that it wonderful. 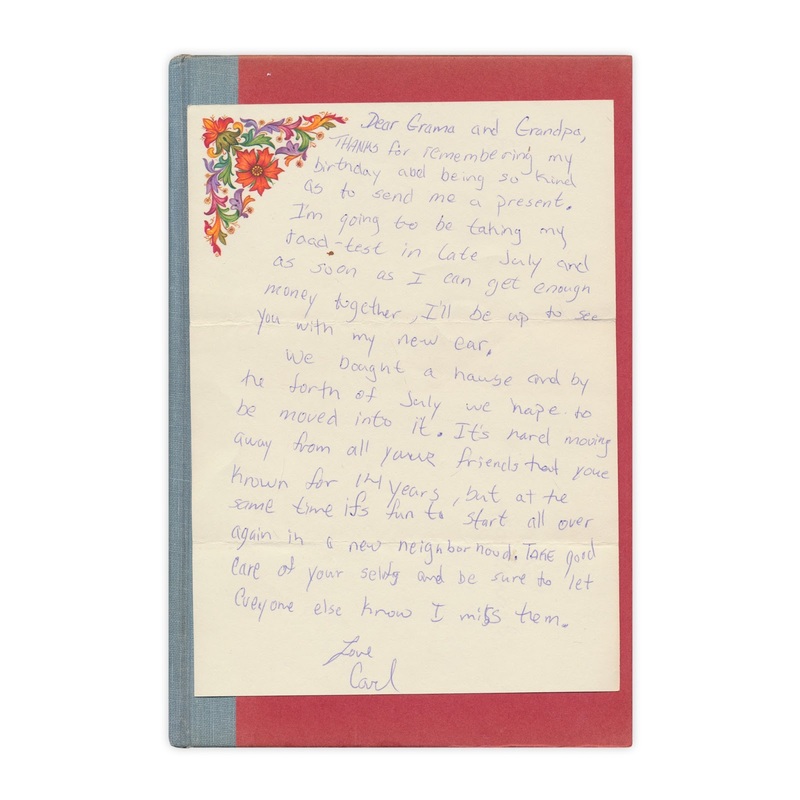 It looks like a note I or one of my friends would have written to grandparents in the 60s or 70s. What a thoughtful boy! I hope he liked the book.